Slate is a kind of rock from metamorphic rock derived from an original shale-type sedimentary rock composed of clay or volcanic ash. Slate rock is a naturally made rock formed under intense pressure within the earth’s crust. It is a strong and long life material for your green home. It is beautiful and environmentally friendly. There are many advantages and can be use for roof, wall, floor and more decoration. 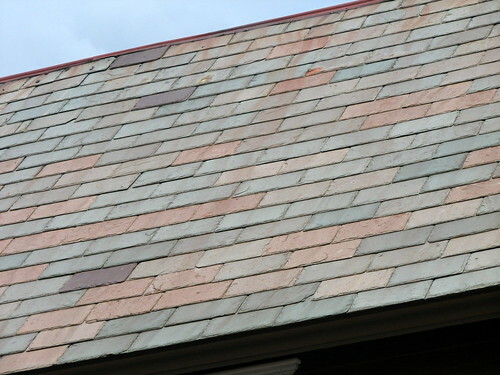 The slate roofing requires very little for maintenance, and this will become a significant portion of the total cost for most homeowners than other materials. A slate roof then strongest of all materials as well. It does not need to be cleaned, it provides no food source for bugs and pests. Slate flooring is also a beautiful choice for many locations in your green home too. With the natural stone is available in a wide variety of designs. There are so beautiful and match with the natural. The surface of slate tile can be protected but without regular care. Find more information about natural stone at Virginia Slate.